2015 Food. Fire. Feasts. Sponsors - Food. Fire. Feasts. Inspired Home is your source for artfully curated content, emerging housewares trends, expert entertaining and design tips and fresh home ideas to help you select the right housewares products to make your house a home – all brought to you by the International Housewares Association (IHA), The Home Authority. From cooking, baking and dining to entertaining, organization and cleaning to personal care and wellness, Inspired Home has resources for all aspects of your home covered. Established in the 1830s and registered by Jack Daniel in 1866, the Jack Daniel Distillery is the oldest registered distillery in the United States. “Everyday we make it, we’ll make it the best we can.” – Jack Daniel. Please drink responsibly. Founded in 1978 by real Angus cattlemen, the Certified Angus Beef ® brand is the original Angus brand and the only one owned by the American Angus Association®. Made up of a collection of family ranchers, the Certified Angus Beef ® brand was created with a shared belief that still drives the brand today: that its customers can taste the pride that goes into every cut. Saucy Mama sources local, natural ingredients so that each mustard, marinade, or wing sauce they create tastes nothing less than the freshest and most flavorful it can be. Food Blog Radio is the first and only Podcast devoted to exploring Food Blogs around the world. Your hosts Gary House and Sara DeLeeuw are Food Bloggers with over 15 years experience in the Food Blog world. 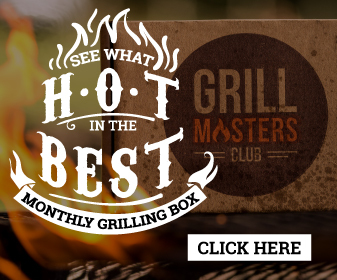 Girls Can Grill is a network of women food enthusiasts who share their grilling tips and recipes to encourage more women to grab the tongs and grill. Ally’s Kitchen is a passport for adventurous palates. Hop on the magic carpet ride to discover Bohemian Bold style and simple, albeit sophisticated dishes.